Another one of those “How did we miss this?” things. We’ll just put up the official description of Dog & Scissors for starters: “Harumi Kazuhito was the ultimate bookworm, spending days at a time with his head buried in his beloved books, and little could make him happier than perusing the pages of his favorite author, Kirihime Natsuno. Unfortunately, Harumi’s life goes to the dogs – literally – when he gets himself killed while trying to stop a robber! 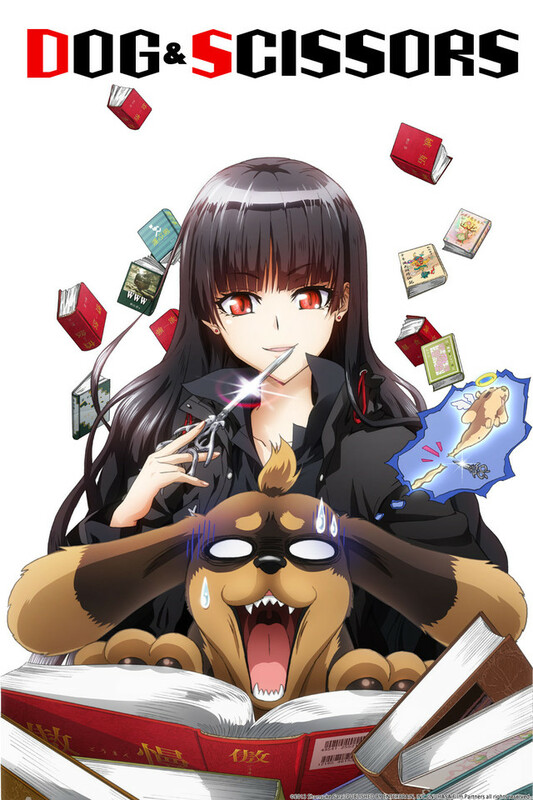 Thanks to the power of a true bookworm, however, Harumi inexplicably finds himself reincarnated as a dog… which might not be so bad if dogs could read. Or if the woman who adopts him didn’t have twin predilections for playing with scissors and tormenting her new pet! 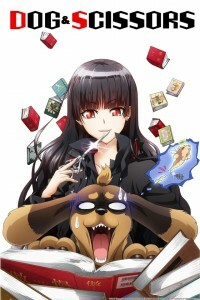 But what truly makes this strange reincarnation the worst of all possible worlds is that she’s also his favorite author!” Based on the light novel series written by Shunsuke Sarai and illustrated by Tetsuhiro Nabeshima, all 12 episodes of Dog & Scissors the anime series have been released to DVD by Crunchroll. They’re also streaming the episodes on line at their web site.